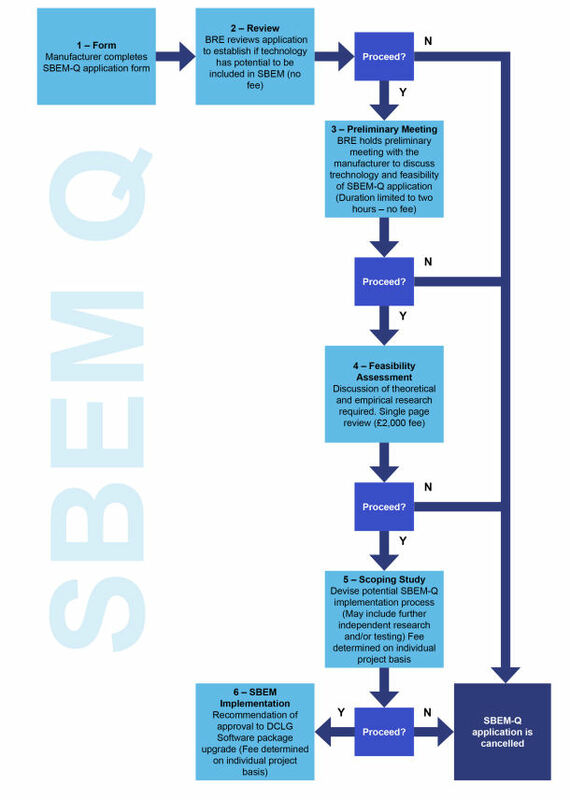 The SBEM new technology (Q) recognition process is outlined in the process diagram below. The standard fee for a Feasibility Assessment is £2,000. Costs for all other application stages cannot be defined generically because of the considerable variation in complexity between technology types and the necessary assessment and recognition processes. The required activities may include background and theoretical research, the development of test procedures, the analysis of test results and the development of technology identification procedures for assessors.